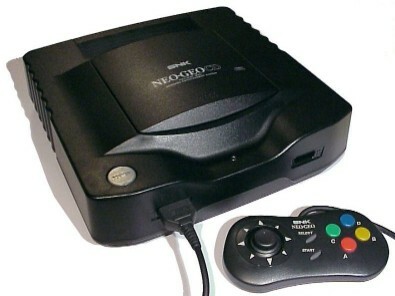 A NeoGeo CD Emulator for your WiZ. Ported from NK's gp2x Version. Has anyone been successful in getting past the "Loading - Please Wait" Screen? Perhaps a file or 2 is missing. Hey dj... you need neogeo.bin to make it work. How fast does this actually run? runs great,i ve tried last blade cd,runs a lot faster from gp2x without overclocking,sound works on this game.but no music. To work u need neogeo.bin and files of ISO and MP3 for each game, ie: mslug01.iso, mslug02.mp3, mslug03.mp3 etc... How do you change the config tho to english txt, Jap is difault. Saw something bout recompile?? i just cant find a working bios .bin file.. anybody help me? Note: the .bin file needs to be named exactly "neoCD.bin" (a correct file with the wrong name won't work) and be in the same directory as "neocdwiz.gpe." And dejunai's comment is right - make sure your neocd_wiz\roms\ directory has the files game01.iso, game02.mp3, game03.mp3... game26.mp3, othergame01.iso, othergame02.mp3, othergame03.mp3... othergame23.mp3. Each game comes with one .iso and a bunch of .mp3's. Unfortunately, we can't tell you where to get ROMs or .iso's, so just keep looking and make sure you have the names right. It does work, but it is the japanese region and you have to follow what people say above. Thanks everyone for the tips. I placed unzipped neoCD bios in folder where neocdwiz.gpe is located. Placed the unzipped ISO's with their wave files into the roms folder. I don't rename the wave files nor do I convert them to mp3 and rename 02 03 etc. I just leave them as they are. I press up and down on the d-pad to highlight a game then I press the d-pad to the right to load the game, with sound and music. Everything runs that I have tried thus far. serendipity with regards to the d-pad right.